Ian Fraser "Lemmy" Kilmister was an English musician, singer, and songwriter who founded and fronted the rock band Motörhead. His music was a distinctive part of the heavy metal genre. Lemmy was born in Stoke-on-Trent and grew up in North Wales. He was influenced by rock and roll and the early Beatles, which led to him playing in several rock groups in the 1960s, most significantly the Rockin' Vickers. He worked as a roadie for Jimi Hendrix and The Nice, before joining the space rock band Hawkwind in 1971, singing lead on their hit "Silver Machine". After being fired from Hawkwind, he founded Motörhead as lead singer, bassist, songwriter and frontman. Motörhead's success peaked in 1980 and 1981 and included the hit single "Ace of Spades". 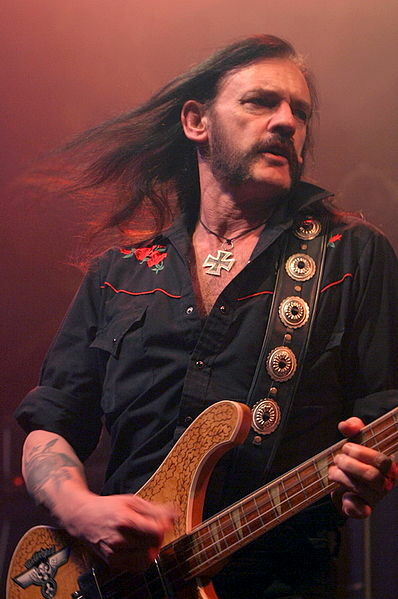 Lemmy continued to record and tour regularly with Motörhead until his death in December 2015. Aside from his musical skills, Lemmy was well known for his hard living lifestyle and regular consumption of alcohol and amphetamines. He was also known for his appearance, including his friendly mutton chops, prominent facial moles, and gravelly voice. Lemmy was also noted for his collection of Nazi memorabilia, although he did not support Nazi ideals. He made several cameo appearances in film and television. Lemmy was born on Christmas Eve in the Burslem area of Stoke-on-Trent, Staffordshire. When Lemmy was three months old, his father, an ex-Royal Air Force chaplain, separated from his mother. His mother and grandmother moved to nearby Newcastle-under-Lyme, then moved again to Madeley, another nearby town. When Lemmy was 10, his mother married former footballer George Willis, who already had two older children from a previous marriage, Patricia and Tony, with whom Lemmy did not get along. The family moved to a farm in Benllech on the Welsh island of Anglesey, with Lemmy later commenting on his time there, that "funnily enough, being the only English kid among 700 Welsh ones didn't make for the happiest time, but it was interesting from an anthropological point of view". He attended Sir Thomas Jones' School in Amlwch, where he was nicknamed Lemmy, although he was unsure why; it would later be claimed that the name originated from the phrase "lemmy [lend me] a quid till Friday" because of his habit of borrowing money from people to feed his addiction to slot machines. He soon started to show an interest in rock and roll music, girls, and horses. By the time he left school his family had relocated to Conwy, still in northern Wales. There he worked at menial jobs including one in the local Hotpoint electric appliance factory, while also playing guitar for local bands, such as the Sundowners, and spending time at a horse-riding school. Lemmy saw the Beatles perform at The Cavern Club when he was 16, and then learned to play along on guitar to their first album Please Please Me. He also admired the sarcastic attitude of the group, particularly that of John Lennon. At the age of 17, he met a holidaying girl called Cathy. He followed her to Stockport, where she eventually had his son Sean, who was put up for adoption. 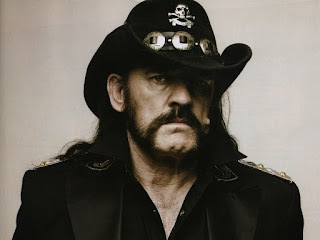 In the 2010 documentary film Lemmy, Lemmy mentions having a son whose mother has only recently "found him" and "hadn't got the heart to tell him who his father was", indicating the boy – perhaps Sean – was given up for adoption. 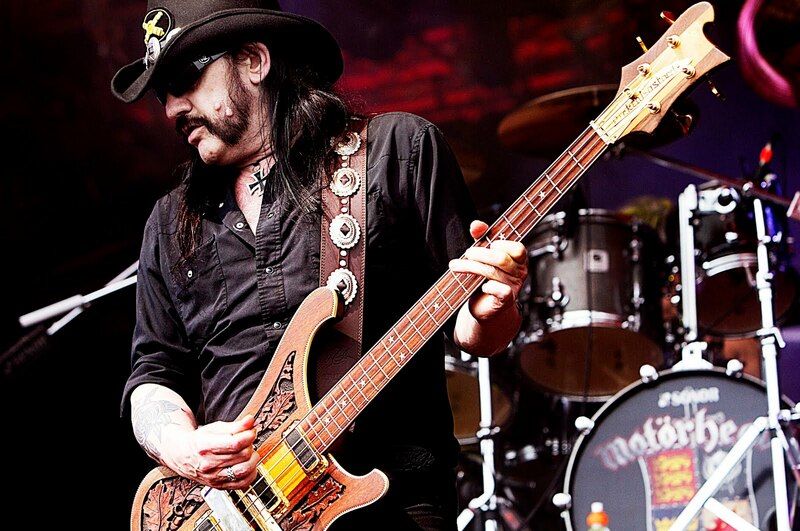 Lemmy worked with several musicians, apart from his Motörhead band-mates, over the course of his career. He wrote the song "R.A.M.O.N.E.S" for the Ramones, which he played in his live sets as a tribute to the band. 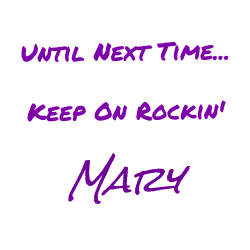 He was brought in as a songwriter for Ozzy Osbourne's 1991 No More Tears album, providing lyrics for the tracks "Hellraiser," (which Motörhead later recorded themselves and released as a single), "Desire," "I Don't Want to Change the World" and the single "Mama I'm Coming Home." Lemmy has noted in several magazine and television interviews that he made more money from the royalties of that one song than he had in his entire time with Motörhead. After being diagnosed with Type 2 diabetes in 2000, for which he was hospitalized briefly, Lemmy again appeared with Motörhead at WrestleMania X-Seven. Lemmy published his autobiography, White Line Fever in November 2002. In 2005, Motörhead won their first Grammy in the Best Metal Performance category with their cover of Metallica's "Whiplash." In the same year, he began recording an unreleased solo album titled Lemmy & Friends, which was intended to include a collaboration with Janet Jackson. From 1990 Lemmy lived in Los Angeles, California, most recently in a two-room apartment two blocks away from his favorite hangout, the Rainbow Bar and Grill. As he grew older he cut down on drink and drugs as he suffered from diabetes and hypertension. In 2013 he had an implantable cardioverter-defibrillator fitted. He referred to his continuing drug use as "Dogged insolence in the face of mounting opposition to the contrary". On 28 December 2015, four days after his 70th birthday, Lemmy died at his home in Los Angeles at 16:00 PST, from an "extremely aggressive cancer". Motörhead announced his death on their official Facebook page later that day. According to the band, his cancer had only been diagnosed two days prior to his death. "Ace of Spades" is a song by English heavy metal band Motörhead, released in 1980 as a single and the title track to the album Ace of Spades. The song spent 12 weeks in the United Kingdom Singles Chart, peaking at No. 15. The song is considered to be the definitive Motörhead anthem, which "put a choke on the English music charts and proved to all that a band could succeed without sacrificing its blunt power and speed". In March 2005, Q magazine placed it at No. 27 in its list of the 100 Greatest Guitar Tracks, stating "This song has an intro which wouldn't be out of place ushering in the end of the world". In 2009, it was named the 10th greatest hard rock song of all time by VH1. In 2014, NME ranked it number 155 in their list of The 500 Greatest Songs of All Time.